The other day I was talking with a “mom friend” about parenting our toddlers and she said she could tell that my background in therapeutic riding instruction influenced how I interacted with the kids, but she couldn’t say exactly how. So I started telling her all the ways I have noticed it helps me, and realized how grateful I am to have had this training before having kids! For multiple reasons, I haven’t made it back to teach much since having children (but I will sometime! ), and it’s easy to start to wonder why I went through becoming a therapeutic riding instructor if that’s not what I’m doing right now and it didn’t become my full career. But I believe that all things have a purpose and lead to and prepare us for the next thing, and can see how Someone was looking out for me and knew this training was just what I needed, because I had no experience in childcare prior! So as a belated Thanksgiving post, because I’m thankful for the ways in which teaching TR has helped me be a better parent, I want to share exactly how. Enjoy! While you’re waiting you might as well (or should) observe. You learn so much from observing insteading of jumping to conclusions. You learn how your rider thinks or what the real issue might be. From here it gives you time to create a plan and decide where to start. As a parent, it gives you a moment to soak in your child being little. It’s also super interesting (and entertaining) to see what a rider or toddler does when you don’t do anything and just watch to see what happens (assuming it’s safe to do so)! Hmmm, you just rode into the wall, why did that happen? Instructing riding taught me how to have a plan for an order of prompts in my head at all times. This is so helpful with a toddler learning how to do new things! I automatically start with verbal prompts, progress to gestures or demonstration, then physical prompts and finally physically helping. I’m able to adapt this to our needs at the time, such as if we need to get out the door quickly I may choose to verbally prompt my toddler to pick out his shoes two times before I help him or choose for him, because if I went through they whole series of prompting with every little thing…we would never get out the door! This has also helped with addressing discipline situations with consistency – either prompting a certain number of times before having a consequence, or progressing through the stages of listening, acknowledging feelings, addressing behavior, prompting potential solutions, and coming up with a plan. Basically, having a plan and staying consistent! Creating lesson plans has helped in creating our family’s daily and weekly routines. Lesson plans create a basic framework for your time with your rider that first puts things in an order that works well for achieving lesson goals, and second that maintains consistency from lesson to lesson. In the same way that many people with disabilities thrive both mentally and physically on this predictability and consistency, so do toddlers and babies! I’ve been able to make a basic framework for our days and weeks that keeps things consistent and predictable for our family, which helps life run much more smoothly. Keeping an eye on the clock to keep good timing during lessons has really helped me figure out timing at home by having a plan and making small adjustments until it works. It seriously took months for me to figure out how to keep lessons running on time but eventually I did it! I’m still trying to figure this out with kids….so please don’t ask me to arrive anywhere on time with 2 littles, hah! Important to note, however, is the opposite pull to “set the bar high” because people can only rise up to the expectation that you set for them, and are often capable of much more than you think. For example, my husband has always talks to our toddler with many many words and big words and long sentences, and our 2.5 year old now is a big talker with a big vocabulary – he recently used the word “receptacle” when he didn’t know what to call a plastic container. So you need to find the right balance for each communication between setting the bar high and adapting to their development level. What more, I have learned to be careful of my words and how they may be taken differently than intended. For example, if I were to use the above phrase “set the bar high” when talking with my toddler or a young rider with autism, they may take it literally to think I’m talking about a bar and get confused and then not hear anything else I say because they’re thinking about a bar. So I either need to explain myself or use different wording. This awareness has helped me figure out some miscommunications with my toddler! Breaking things down into do-able parts has been huge for helping my toddler learn to do things and feel successful! I’m not sure what else to say about this one because I recently said a boat-load about it in this post: Teaching Techniques: Task Analysis. Suffice to say, this skill has been very helpful. The PATH Intl. Certification process is pretty big on using specific praise, and with good reason: students don’t fully know or internalize what they’re doing well if you’re not specific. Practicing this technique, oh, a million times during instructor training and my years instructing has left a little voice in my ear that still prompts me whenever I say “Good job!” by adding a little “at…?” and then I must finish the sentence. I think this helps me toddler learn better and feel seen, and improves our communication and connection. If you are doing a lot of waiting and observing, you’re getting a lot of practice in patience! But I have to be honest, I learned patience from a mule. In college I interned at a breeding barn that included mules and training a mule yearling taught me everything I know about working correctly with horses – because while you can bully a horse into doing most things, you cannot bully a mule, you have to convince them that they want to do it, or that you are more stubborn than they are, and especially you must give them the sense that you have all the time in the world to work with them (even if you have to get to class in 10 minutes). This is the right way to work with people and toddlers, too – you should not bully anyone into doing anything; ideally you should work with them until they are comfortable enough they decide to do it on their own. 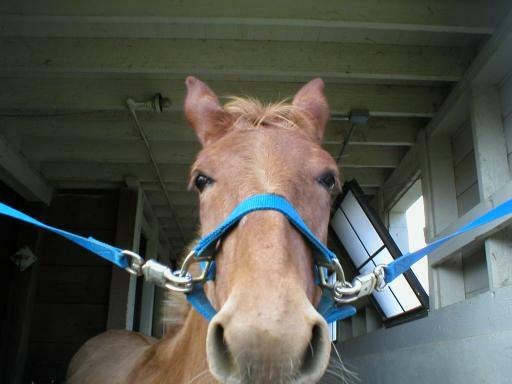 One time my mule refused to walk out a door so I waited (insisted over and over, actually) for an hour until she finally agree to go. It gives me so much more confidence holding my ground knowing that if I outwaited a mule, I can outwait a toddler! 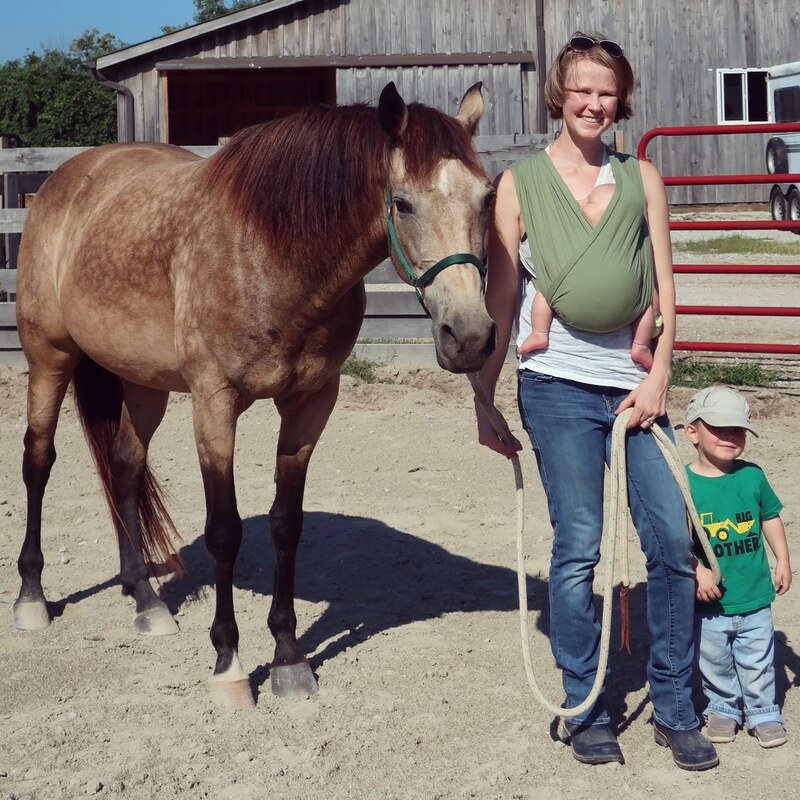 There are so many more things I could list, but I’ll end on this one: instructing therapeutic riding has taught me how to do my job well as a parent. When I first started instructing, I was almost paralyzed with the immense responsibility of putting someone with disabilities on a thousand pounds of horse – they could actually die if I did something wrong. 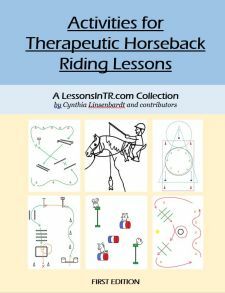 So I studied and learned as much as I could to be able to keep my riders safe, give them a good lesson, perhaps even improve toward their goals – and calm my anxiety. When I was pregnant, I did a lot of research on newborns and babies because I had no clue what to do with them. Because seriously, parenting is the most important test of your life – why would you not study?! Yes there is maternal intuition, but there are also basic facts that you’re not born knowing and can put you a step ahead in the game if you study up. However, now that I’ve reached toddlerhood I’d welcome any advice on actually finding time to read up on the next stage, hah! I can’t finish this post without at least mentioning the reverse, how becoming a parent has helped me be a better instructor, although I don’t get to put it into practice much lately. I understand now that there is so much that goes on in someone’s life that you don’t see, especially regarding parenting. We only see their children for an hour a week, during which we barely see their parents. We don’t see all the good and bad times at home, all the sleepless nights, all the who knows what that’s going on behind the scenes. And speaking of sleepless nights, if I ever have a difficult encounter with a parent again I will give them the benefit of the doubt that they probably did not get any sleep because no sleep turns you into a completely different person (read: impatience, unkind, angry, depressed, etc.). Now I look at all people and I see that they were once a baby like mine, completely innocent and deserving of love and wanting love. I see homeless people on the street corners and I see that they were someone’s baby once. (Then I get sad because I realize actually, many of them probably were not someone’s beloved baby once, and that could be what started their problem.) I look at my riders and I see them as babies, and I feel more love for them because of loving my own babies. I was never a baby person, but birthing a baby changed my perspective on this and has opened my heart to more love and empathy for the other. I love how experiences in our lives lead from one thing to another and all tie together like a spiderweb. 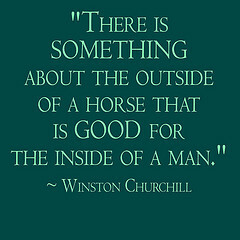 How has instructing therapeutic riding made you better in other areas of your own life? I’d love to hear! I was so excited to see this excellent blog because the beneficial connection between horsemanship and parenting has been a focus of mine for the last ten years! So much so that I wrote a book about it. You hit on the principles that I also see as critical to raising kids that do NOT have a sense of entitlement, and are kind, responsible and confident. In the book I call them the 5 Mighty C’s – Consider, Connect, Communicate, Co-operate and Consistency. Your comment on limiting verbiage when necessary vs building vocabulary inspired me to write my next blog. Thank you for an excellent article! Hi Kris, I’m so glad to connect with you! Your book sounds great, I’ll have to check it out 🙂 I hope all the horse sense helps me raise kids who are responsible and confident. I’m looking forward to your blog post! Love all of this. So appreciate your viewpoint and sharing what you’ve learned. Hooray! You’re welcome! And congrats on being a new mama!